When I first began teaching Zen Shiatsu I tacked signs to palm trees on the dusty path from the boat-landing to catch the eyes of new arrivals on the hippy island of Koh Pha Ngan. The notices invited people to meet me at the Coconut Theater on Leela Beach, to learn the Art of Gentle Healing. I asked them to bring an open mind and something to lie on. Learning shiatsu has changed my life. Like you, like everyone, there were always things I wanted to change. Stuck in the mundane dimension (spirit-speak for rat-race), earning my living in the hustler world of commercial property, I could afford neither to stop what I was doing nor start something new. Then, in the tradition of Zen good-luck/bad-luck stories, something happened in my personal life. About the time I was beginning to realize I could look at such events in a different light, my friend Patricia sent me a newspaper clipping about shiatsu training. Next day I signed up at the British School of Shiatsu-Do. In learning to heal others I learned to heal myself. In learning to teach others I learned to teach myself. I learned that every experience is a learning-experience and that sharing makes me feel good. 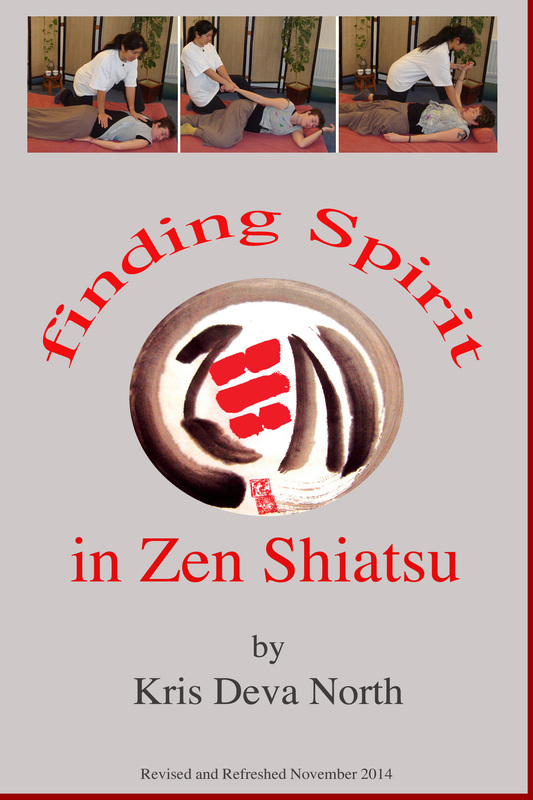 That’s why I’ve written this book, about finding Spirit in Zen Shiatsu. There have been plenty written about techniques and suchlike. These are listed at the back. In this, I want to share my spirit, the spirit I found in this wonderful work of helping people learn to help others. This entry was posted in beauty, facials, love, massage, philosophy, zen and tagged shiatsu, shiatsu massage, shiatsu training, zen, zen massage, zen shiatsu. Bookmark the permalink.